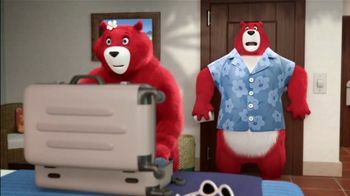 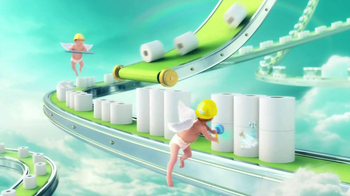 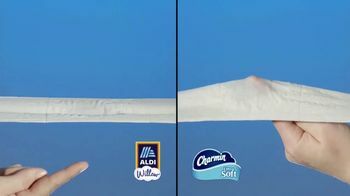 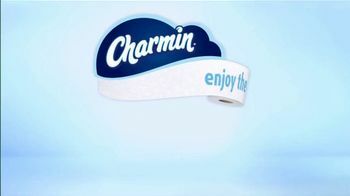 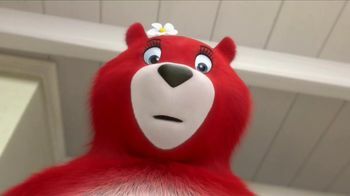 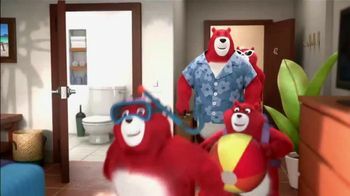 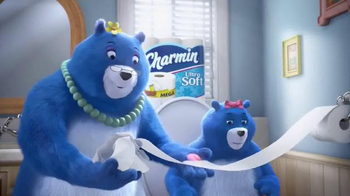 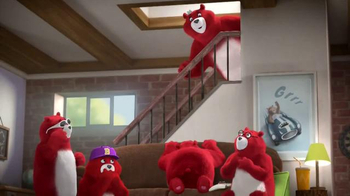 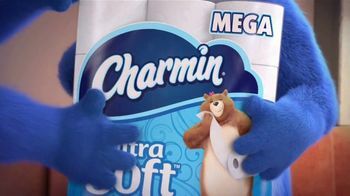 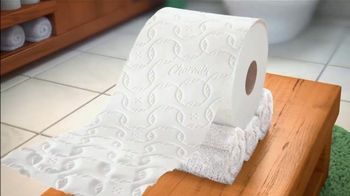 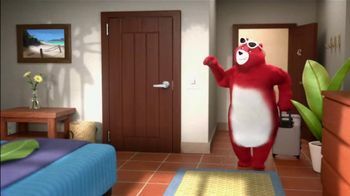 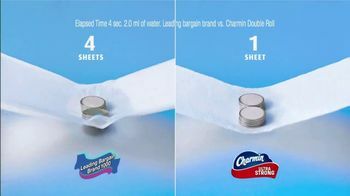 Before the Charmin bears hit the beach, "Big Daddy" needs to hit the loo. 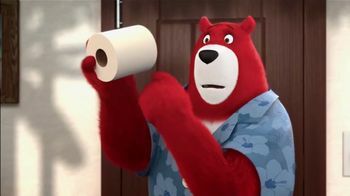 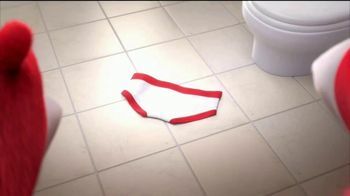 Emerging in horror, he reveals that there's a big issue: they're staying somewhere with flat toilet paper. 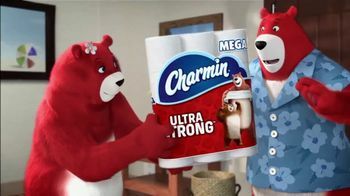 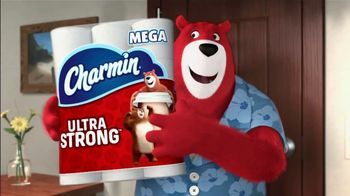 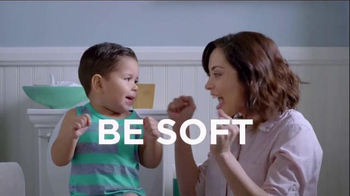 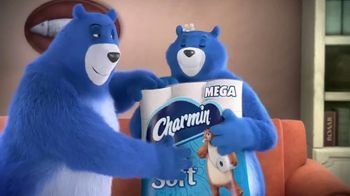 Luckily, his honey bear wife planned ahead and brought Charmin Ultra Strong so they can clean better with its washcloth-like texture. 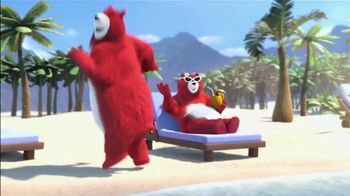 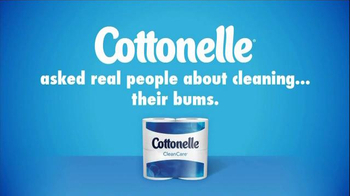 To the delighted laughter of his children, he jokingly wiggles his bum and thanks Charmin when their mom admires the beautiful view of the ocean.